Gujarat High Court Held Bailiff And Process Server Exam 19 November 2017. So, Gkgrips Published a Free Online Bailiff Practice Papers For All Students. 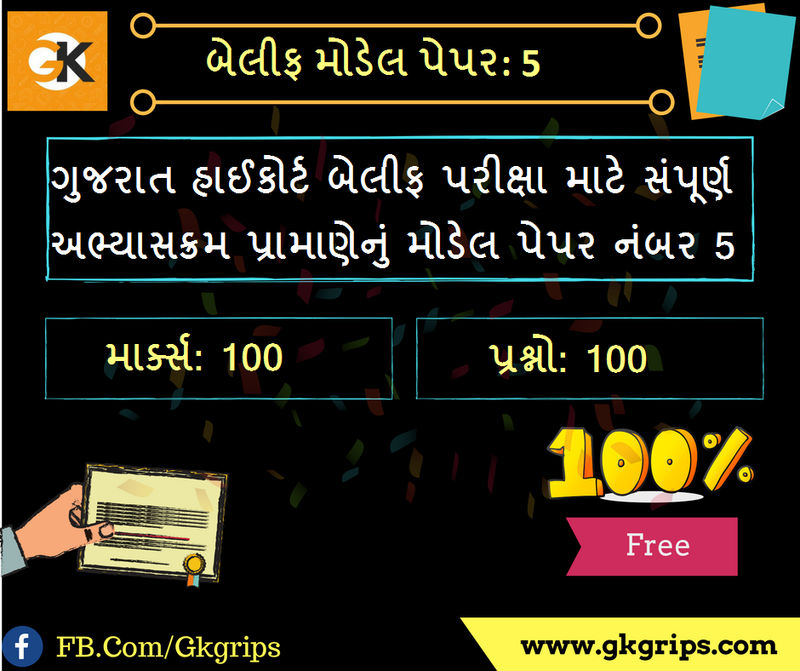 Gkgrips Support a Free Study Materials, Model Papers, Old Papers, Daily Gk Page, Daily Current Affairs, Daily Mock Test And More For All The Student Who Preparing For Competitive Exam.